This worksheet is meant as a warmer, icebreaker or for last minute. You can use it as a game too. There is a picture of a farm. Ten animals are wild animals and don't belong. 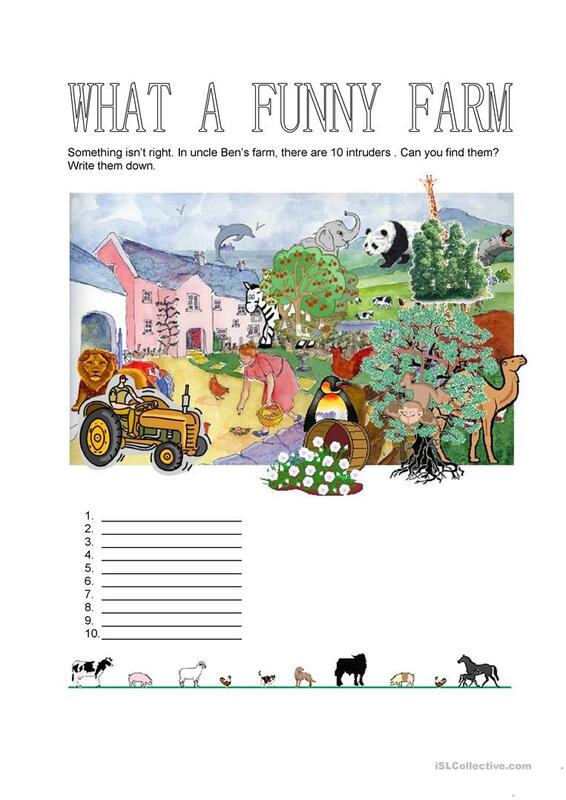 The students have to find the ten wild animals and write down their names. The winner is who first can name the ten animals which don't belong. The above downloadable worksheet is a great resource for high school students, elementary school students, kindergartners and nursery school students and students with special educational needs, learning difficulties, e.g. dyslexia at Beginner (pre-A1), Elementary (A1) and Pre-intermediate (A2) level. It was designed for working on your class' Writing skills. It centers around the topic and words of Animals.